Rocky Mountain Power presents. . . 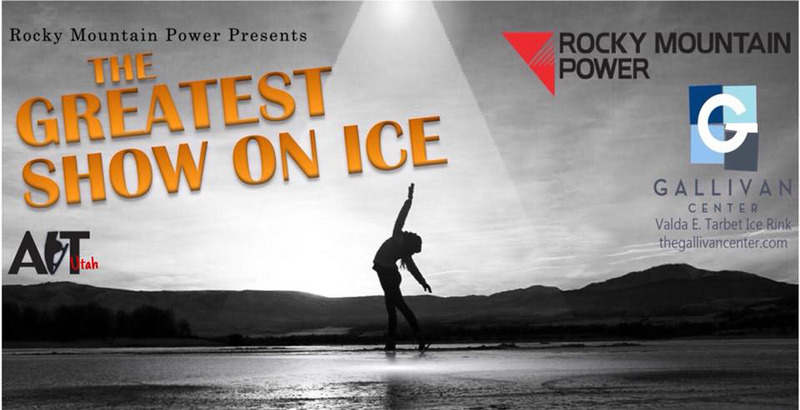 The Greatest Show On Ice - Saturday, February 17th at 6pm! Let American Ice Theatre of Utah bring the soundtracks of Broadway and Hollywood alive while you sit back in the heart of downtown SLC and enjoy a one-act ice show to remember! 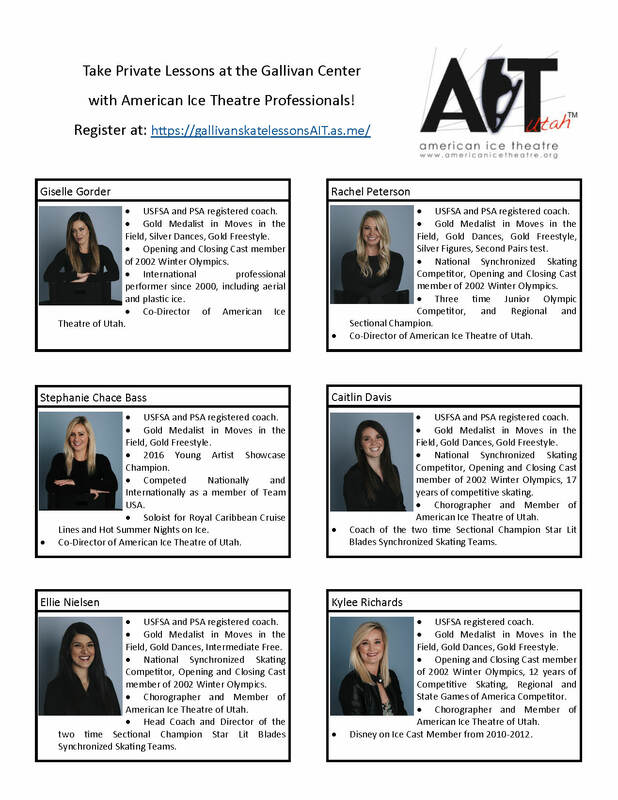 Ice Skating Lessons Offered by American Ice Theatre of Utah! American Ice Theatre of Utah will be at The Gallivan Center Ice Rink this season offering private lessons! Gallivan Center 2019 All right reserved. Powered by SquareHook.